270 pages | 40 B/W Illus. Starting a business successfully requires numerous skills and resources. The alarming rate of failures associated with new ventures suggests that potential entrepreneurs would welcome expert advice at the most vital stage in the life of any business. Drawing on the most up-to-date and most relevant research, this concise textbook provides students and academics of entrepreneurship with a practical guide to acquiring the appropriate resources in order to start a new firm. This is a breakthrough book in its approach to entrepreneurial learning and new venturing in both style and substance. It eschews many conventional approaches by engaging with all key influences upon the success of the venture, and the associated learning needs. It therefore moves beyond the convention of focusing narrowly of knowledge content and pedagogy of the individual confronting start-up process itself. It, importantly, summarises the desired learning approaches needed to address all aspects of, and influences upon, the venture success. Grounded in both the relevant literature and real-life case studies, this textbook provides students and early stage entrepreneurs with both a theoretical and practical foundation for tackling the many challenges they are likely to confront in establishing and growing a new venture. An insightful resource book for would-be entrepreneurs. The move away from the heroic concept of the entrepreneur to one that explores the realities of starting up a business is welcome. The Book encourages the reader to reflect on the key lessons provided from each chapter in a way that clearly sets out learning objectives supported by case material and sample discussion questions. Resourcing the Start-up Business is a refreshing addition to the postgraduate entrepreneurship catalogue. An insightful and well-timed publication that goes beyond simply guiding the reader through the resources needed to develop and support entrepreneurs, focussing instead on embedding dynamic learning capabilities through effective experiential learning, and stimulating these nascent entrepreneurs to go on to develop growth-oriented businesses that make a real contribution to economic development. An essential read that offers a link between an entrepreneur’s dynamic learning capability when establishing a new venture and the likelihood that that business will grow. Drawing upon a range of disciplinary perspectives, our understanding of issues relating to Entrepreneurship has expanded rapidly in recent years. This makes it difficult for researchers, teachers and students to be continually up-to-date in the latest thinking, but Jones et al address this by combining disciplinary diversity with current research findings and debates. What I found particularly helpful was the coverage of topics and approaches with which I was unfamiliar and with these being explained using easy-to-understand language. Resourcing the Start-up Business is a genuinely insightful book that is ideal for both students of entrepreneurship and entrepreneurs about to start a venture. It is eloquently written, brilliantly weaves together key resource considerations for start-ups and explains clearly the entrepreneurial learning process. Allan Macpherson is Associate Professor of Management at University of Wisconsin-La Crosse, US and Professor of Organisational Behaviour at De Montfort University, UK. Dilani Jayawarna is Senior Lecturer at the University of Liverpool, UK. Entrepreneurship occupies a central position in the business disciplines, whilst entrepreneurs' contributions to the global economy is widely acknowledged. In light of this importance, entrepreneurship education plays a key role in delivering employable graduates across the academy. This textbook series provides relatively short, accessible textbooks on a range of entrepreneurship topics. Collectively, the series is a valuable resource for students of entrepreneurship, helping them gain an in-depth understanding of contemporary entrepreneurial concepts. Individually, each text provides essential reading for a core entrepreneurship topic. A range of consistent pedagogical features are used throughout the texts, highlighting the practical importance of theoretical concepts. Specialist, postgraduate students of entrepreneurship will find the series to be the ideal starting point for their studies, whilst non-specialist students looking to understand new ventures and entrepreneurial thinking will gain much value across these books. Why not download our Routledge FreeBook Entrepreneurship for Managers: Strategic Decision-Making for Business Growth? 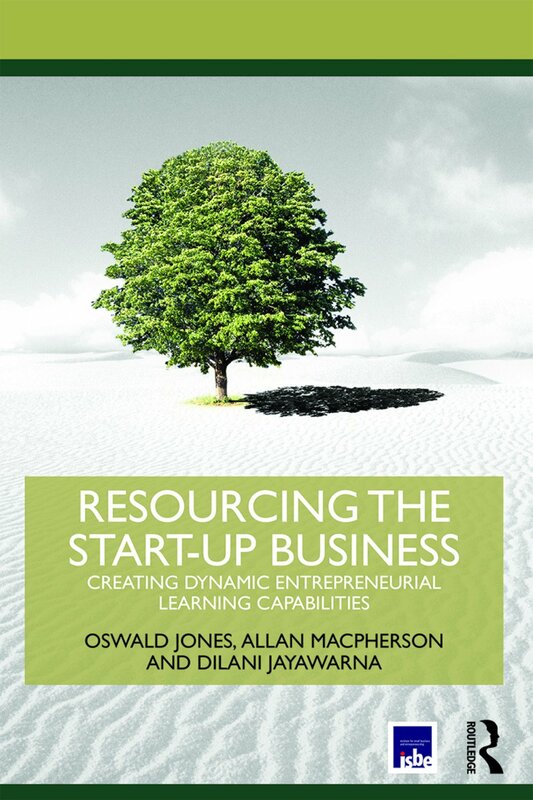 This resource contains a chapter from Resourcing the Start-Up Business, along with a selection of excerpts from other titles in the Routledge-ISBE Masters in Entrepreneurship series. Click here for more information, and to access this FreeBook.